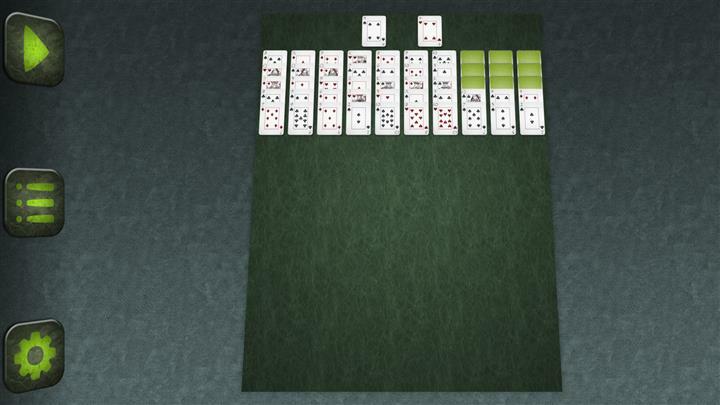 Object: Build all cards into ace-to-king sequences of the same suit. 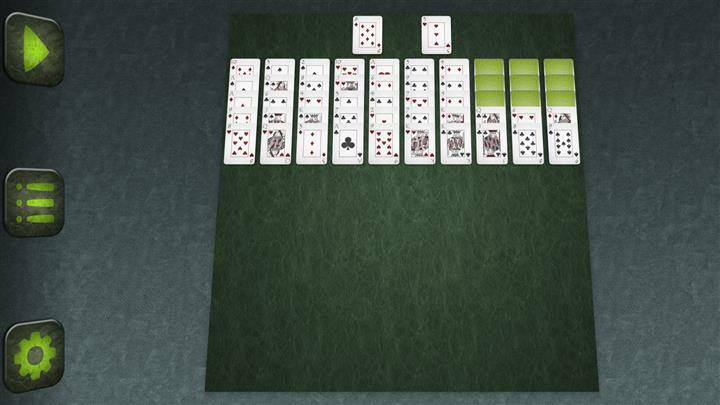 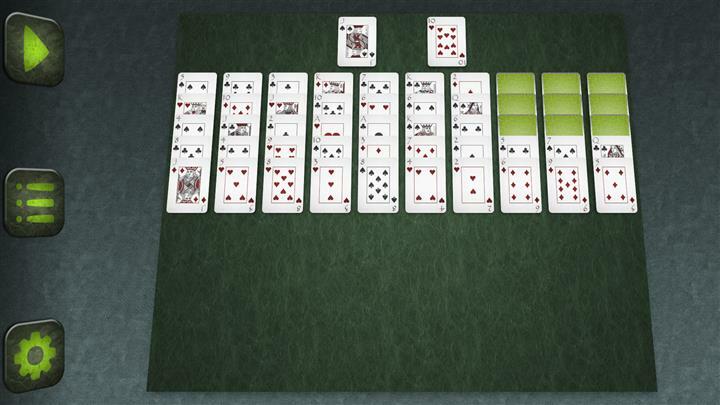 The tableau has 10 piles of 5 rather than 7 piles of 7, with the face down cards in the last 3 piles. 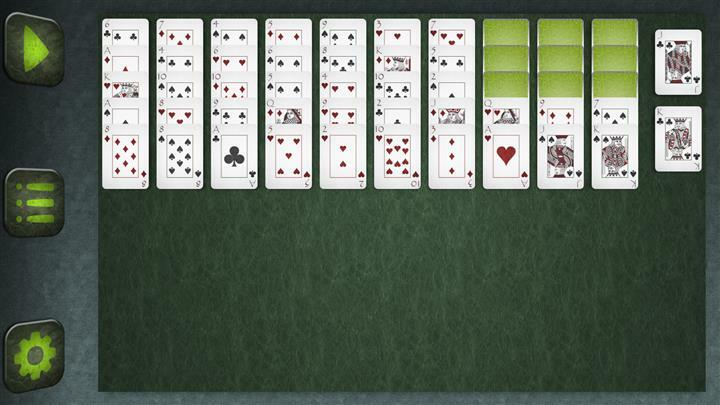 There are 2 playable cards in reserve rather than a stock pile of 3.